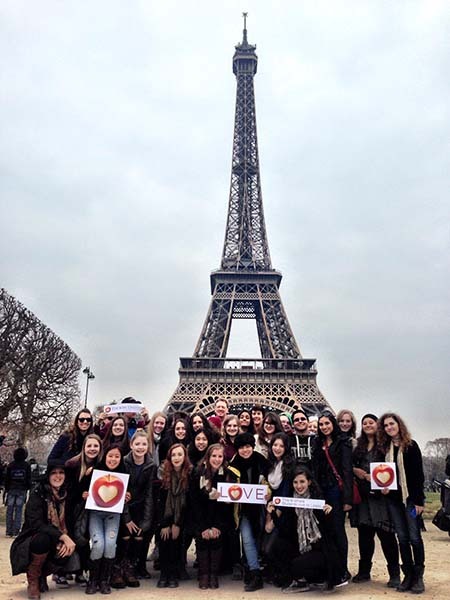 The University High School Travel Club spent Spring Break in Italy, Switzerland and France. The group of chaperons and 30 students left Tucson on March 18 and touched down in Milan on March 19. They spent several days in Italy, then went to Lucerne, Switzerland, and finished their trip in Paris, returning on March 26. The trip was organized by Meg Tully, who teaches AP European history at the school, and students got to see some of the places they have learned about in person. Thanks to the group for asking to pack #TeamTUSD signs and take them all the way to Paris! If you have a group that is hitting the road, whether it's somewhere in Arizona, in the U.S. or overseas and would like to take a #TeamTUSD photo, let us know. We will get you signs that are easy to pack and take along.